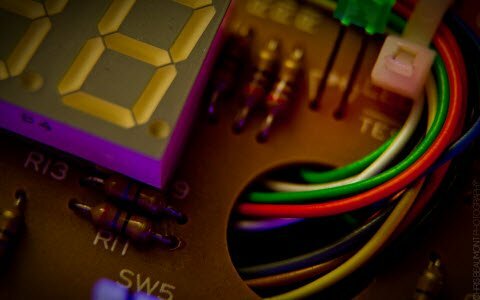 Electronics is the technology mainly concerned with the development of circuits for television, personal computers, and all other electronic equipment. 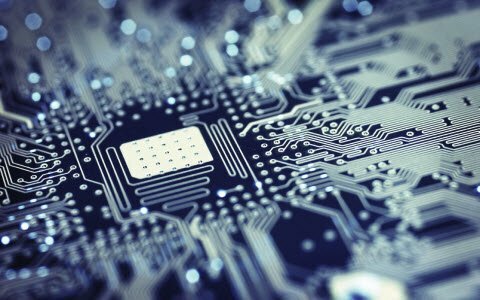 This kind of electronic equipment makes use of silicon chips or transistors and other basic electronic components. Electronics mini projects for engineering students are developed by concentrating on many application areas such as control systems, computer applications and tele-communications, etc. Automatic railway gate control system automatically controls the operation of railway gates by detecting the arrival and departure of trains at the gate. Detectors are placed at a faraway distance on a railway track to detect the arrival and departure of a train. Detectors are connected to a microcontroller, which activates the motor to perform the mechanical action of opening and closing the railway gate. The main aim of this project is to operate and control an unmanned railway gate in a proper manner to avoid accidents atthe unmanned railway crossing. The following project is designed to overcome the accidents that have become common in our day-to-day life particularly at the railway crossing gates. 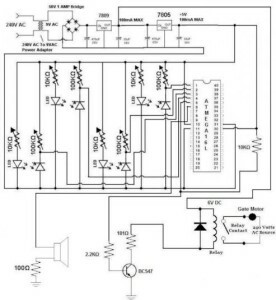 The explanation of the operation of the circuit is brief for better understanding. The circuit consists of four IR LEDs, and the Photodiodes are placed on either side of the track. Initially, the IR LED is the transmitter that continuously transmits IR light and allows it to fall on the receiver. When a train arrives,it blocks the light falling on the receiver. Let us consider that the train is moving from left to right and the first sensor pair acts as a counter and gets activated when the train blocks it, and then the second sensor pair stops working as a counter. The counter values generated here are used to calculate the velocity of the train. The out of sort sensor 2 is sent to the microcontroller, which in turn makes the relays active, and then the gate gets closed. When the train blocks the last carriage of the track then the relays gets deactivated and crossing gate is opened. This project is programmed in such a way that it is advantageous in calculating the velocity of the train. If the speed of the train exceeds its limit, then the passengers are alerted by activating a buzzer as indication that the train is moving at over speed. Nowadays security is a major problem for houses, banks and jewelers due to increase in cases of robberies owing to insecure systems. 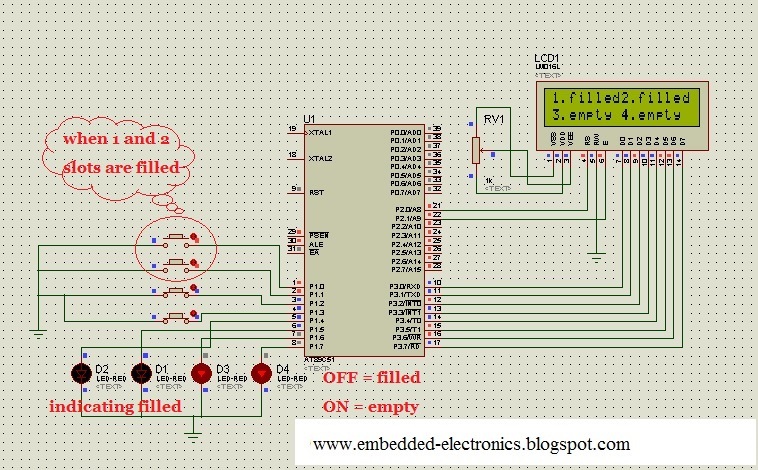 To overcome this problem,this article demonstrates the implementation of a microcontroller based electronic locker system to resolve this problem. An electronic lock is a device that has an electronic control assembly attached to it and is provided with an access control system. The project is intended to set up an electronic security system at homes by developing a locking system that involves password based access to rooms and buildings. The major components used in this project are 8051 microcontroller, a LCD display, and a motor. The design of this system is such that programming is done in the microcontroller itself. 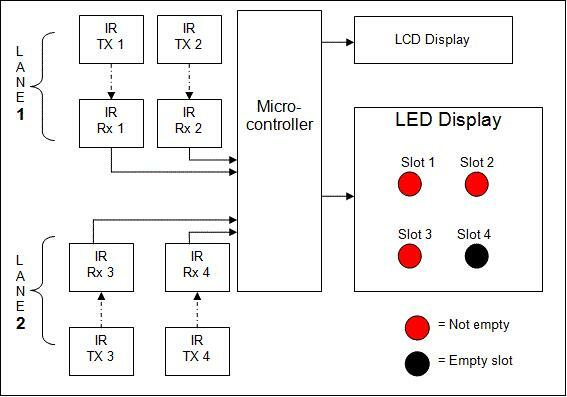 The LCD and Switches are given as input and output to the microcontroller. The LCD data pins are connected to the port1 pins of the microcontroller, and L293D is used to rotate the motor bidirectional for opening and closing the door. 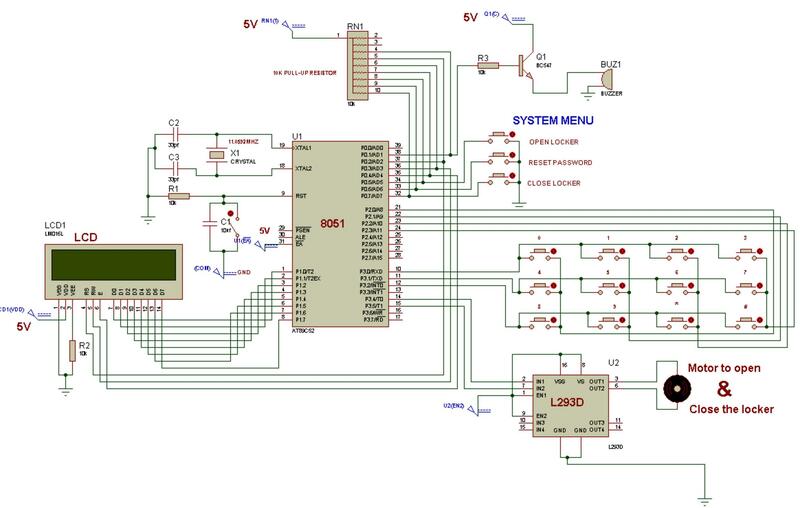 A microcontroller based door lock is an access control system that allows authorized persons to access a restricted area. The system has a keypad for entering password. 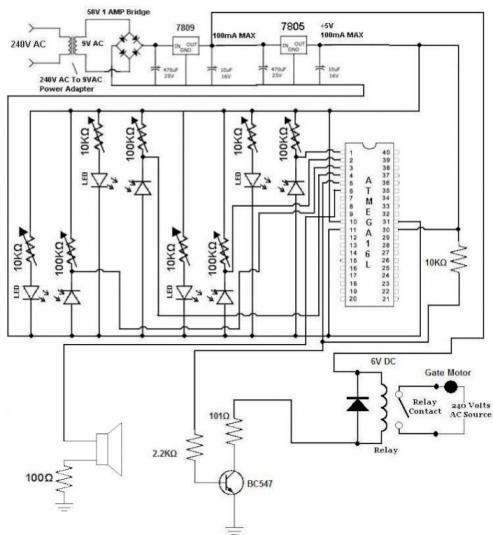 If the password entered is correct and matches with the password stored in the microcontroller, then the door gets opened with the help of the motor. If the password entered comes as wrong after attempting it thrice, then the alarm gets switched on. If we take a look at the present world scenario, there is a necessity for saving the parking place in big companies, apartments and shopping malls, etc. More and more multi-stored buildings are springing up every day causing lots of parking problems. Lack of space, huge construction activities cutting down of trees and deforestation are leading to harsh and adverse effects on environment. This project is intended to save the ground space required for parking. By using this system,huge number of cars can be parked according to the requirement, in floors that are one above the other. In this car parking system, there is an IR transmitter and receiver for the parking slot. IR receivers are connected to the microcontroller. Whenever a car is parked in the parking slot, the IR rays are obstructed, and the microcontroller comes to know which slot is empty and which slot is occupied, and then displays the result on the LCD. Furthermore, Light emitting diodes are used as an indication for showing the empty slots. LEDs are placed at the entrance of the parking slot to minimize human interference for monitoring car parking. In this circuit, the sensors are replaced by the switches and are connected to the port 1 of the microcontroller. Whenever a car parking slot is filled, the switches turn on and the LEDs glow as an indication to show the slots that are unoccupied and the LEDs turn off to show the parking slots that are filled. 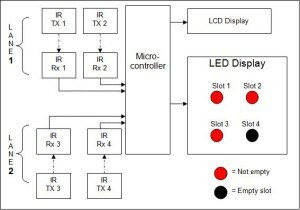 The LCD is connected to the port 3 of the microcontroller and the parking status is sent to the microcontroller to make it being displayed on the LCD. Thus the electronics mini projects ideas are prominent for getting practical knowledge prior to the engineering course. 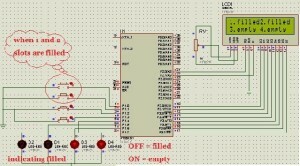 By keeping in mind the importance of such projects ideas,this article also provides a simple electronic mini projects’ list helpful for the students during their academic year to gain the basic knowledge of designing and developing circuits. Electronics plays a major role in our daily life. Electronics concept deal with various small and large circuits such as resistors, diodes and batteries, etc. Many of the people are showing interest in learning things related to electronics by choosing various electronics branches of engineering. 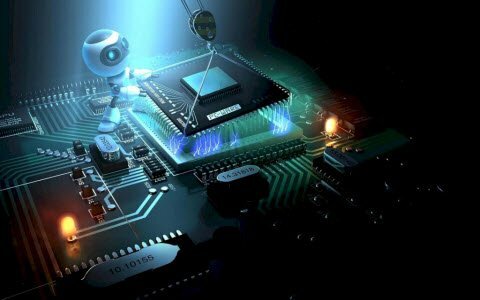 Keeping such electronics engineering students in mind, here we have collected a list of simple electronics mini projects that are immensely helpful during their academics. These electronics mini projects for engineering students involve different technologies like IR, GSM, RF, etc., and different types of microcontrollers such as 8051, AVR and ARM microcontroller. 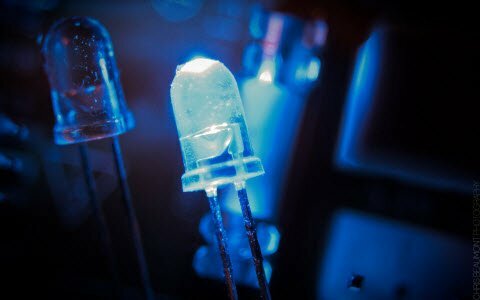 This article is all about the electronics mini projects for engineering students, and also includes mini projects circuits. Thus, the given list covers all the latest and fast moving projects over a wide range of applications. If you are interested in any of these project ideas, and are in need of technical help please comment below. 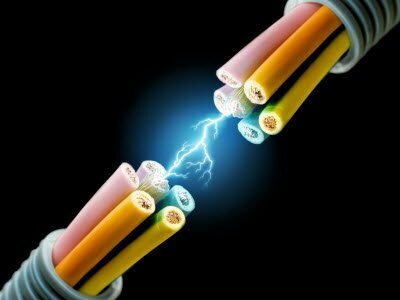 hiii i’m tejaswini studying 2nd ece i’m intrested to do a mini project for that i selected generation of electricity through speed brackers so please suggest me is it is good to do if its a good project give any suggestions to me. As per your query check out the link for the latest project ideas. Hope you will find a solution for your query. And once again please visit our International website https://www.elprocus.com and read all our articles. Before selecting your project,May i know your Specialization? So,that we can suggest you related projects as per your requirement. For further any help please contact Niranjan on +91-9959178000. 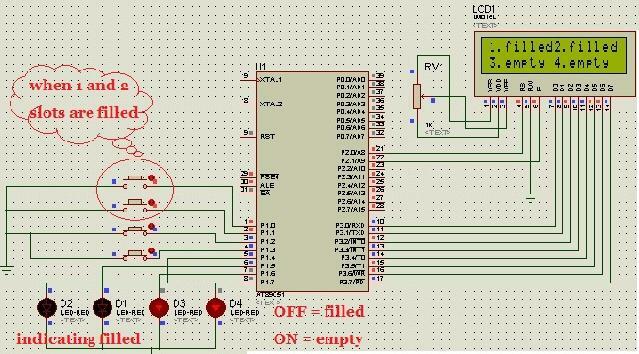 i need the whole project of Automatic Parking Slot Indicator using Microcontroller with its c code ,please help me? 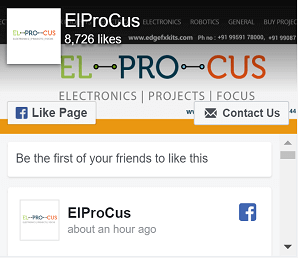 Please check the user friendly website https://www.elprocus.com for all the latest projects. Edgefx train students by means of Do It Yourself Edgefx Kits in the areas of Embedded, Electrical and Electronics by giving complete solution in the form of descriptive audio-visuals, complete set of components including tool kit, so the student can gain good practical knowledge and hands on experience while using the Do It Yourself Edgefx kit. Please check the user friendly website for complete details in the kit content section and go through the FAQ for details.